Attn: Hunter, Fisherman, and Outdoor enthusiasts as agents for David &Nancy Hice, Edith S. Ryan we will sell their real estate with the personal property as a whole, Turkey Package. Being a clean cozy 1.5 floor plan home 6 rooms & bath perched upon a knoll overlooking the large stocked fishing pond below. The home has some fenced pastures and woods. Sellers say its excellent deer and turkey hunting! 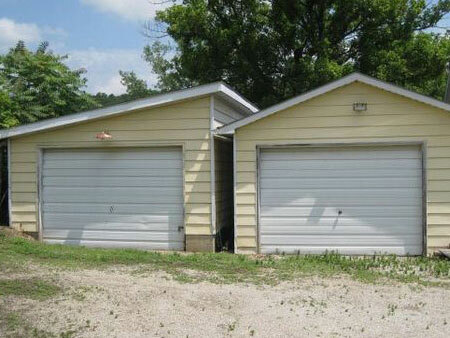 Home has eat in kitchen with island bar, cooktop, range, top and bottom cabinetry, living room, 2-3 Bedrooms, full bath with shower over tub, front and rear covered concrete patio’s, and 2 one car garages. 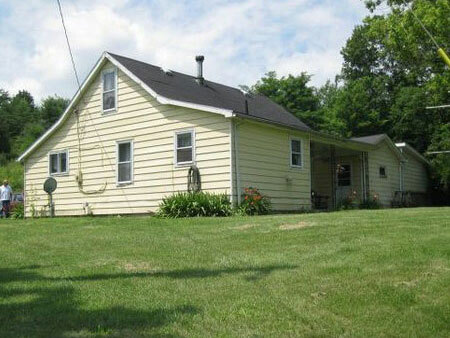 The home is equipped with fuel oil furnace, septic tank and well, crawl space, 200 Amp breaker box. Real Estate Terms: Real estate being sold together with furnishings, Turn Key. The minimum bid is $25,000.00; $5,000.00 down at time of sale. Balance and possession upon delivery of deed, closing on or before November 15th 2011. Taxes are prorated. No buyer contingencies exist. Home sold in present as is condition. Larry Hayes Attorney (937) 981-4403 Property is identified by Ross County Auditors as parcel #021216008000 32.07 Acres, taxes $110.74 year, parcel# 021216027000 1.67 Acres, taxes $103.20 year, parcel# 021216026000 0.64 Acres. Homestead reduced taxes $242.92 a year. All 3 tracts sold as a whole NOT OFFERED SEPERATELY! This property is fresh on the market and has not previously been listed for sale. Mrs. Ryan has lived here and fully enjoyed this farm since 1987. Please call (740)663-2311 and speak to her about this wonderful year round or weekend retreat.